A “Colorado Rocky Mountain High” surrounds you while driving through spectacular mountains, which open to the valley where ski resort town, Aspen, is located. This town was first built during the late 1880”s on one of the richest silver lodes in the Rockies. Aspen was the leading silver producer in the nation in 1891 accounting for a sixth of the silver output in the United States. However, their boom was sort lived because in 1893, the US government returned to the gold standard, pulling the plug on the basis for their silver production. Developing ski slopes seemed a natural, next step in this fantastic mountain region. That first ski lift acquired the name of “Boat Tow”. This very primitive lift, which was constructed partially from old silver mine parts, contained an old motor, two mini hoists, and two 10-person sleds. But that was then, and this is now! Today this Rocky Mountain playground of the rich and famous is one of the world’s top ski resorts. The mountainside aspen forests, which gave the town its name, still grow in abundance. Tourism is now where its treasure can be found. 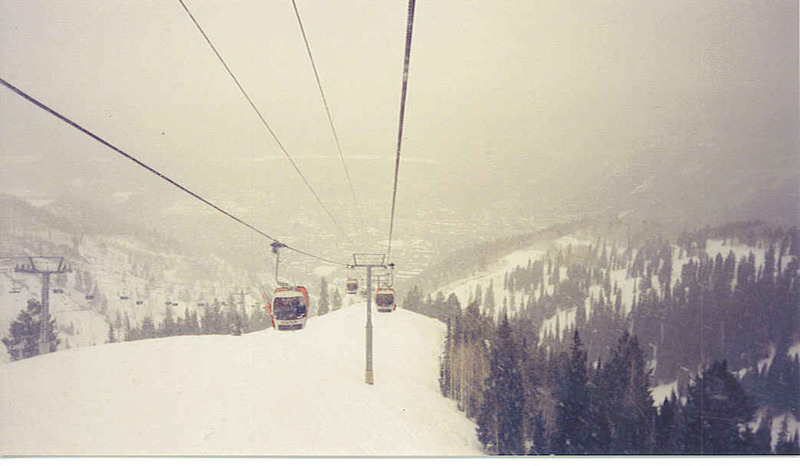 The Silver Queen Gondola gives an all-day ticket for skiers, as well as onlookers, to the top of Aspen Mountain and back down. Ski lifts being my idea of fun, several trips were made during the day. The ride to the top of 11,212′, about two and a half miles by ski lift, took about fifteen, breathtaking minutes. The gondola held quite a crowd and of course, many were carrying their ski gear along as well. They seemed to frown upon those going along just for the ride, so tried to stay back in a corner out of their way. Somewhere on this mountainside a shrine has been built to John Denver, composer of “Rocky Mountain High”, which is now one of the two state songs of Colorado. Aspen was one of his favorite places to ski so it seemed natural to gather a collection of photos, posters, records and even wind chimes here on the mountainside at an undisclosed location, known and discovered by only a few. At the top was a beautiful lodge, Sundeck, with a grand fireplace where you could sit with a cup of hot chocolate and watch the snow fly by the floor-to-ceiling windows. Watching the skiers go down the trails through glades, bumps and steeps was great fun as well. These trails were actually named according to their difficulty, for example, starting with the most difficult to the easiest: Sunset, Pussyfoot, One Leaf, and Slow. At the top, snow started coming down heavily so headed back down one last time before finding a place to stay for the night. Had plans on going on east that evening, but the road had been snowed in for two months so had to backtrack just a bit. The interstate was getting snow-covered also and the lighted sign across the road said, “Chains required 10 miles ahead.” This was one of those nights when any motel looked like a great place to stop…no matter the price! This snowy journey continued the following day as the interstate still called for chains. So I took a quiet, slow, snow-covered back road through the mountains. It was called “Top of the Rockies” at about 10,000′ with the peaks being about 14,000′. 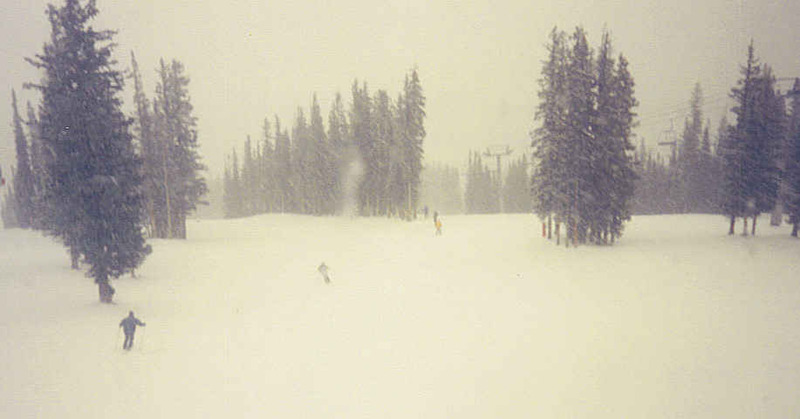 Arrived the next day at the slopes at Vail Ski Resort, which had 28″ of snow on the ground. 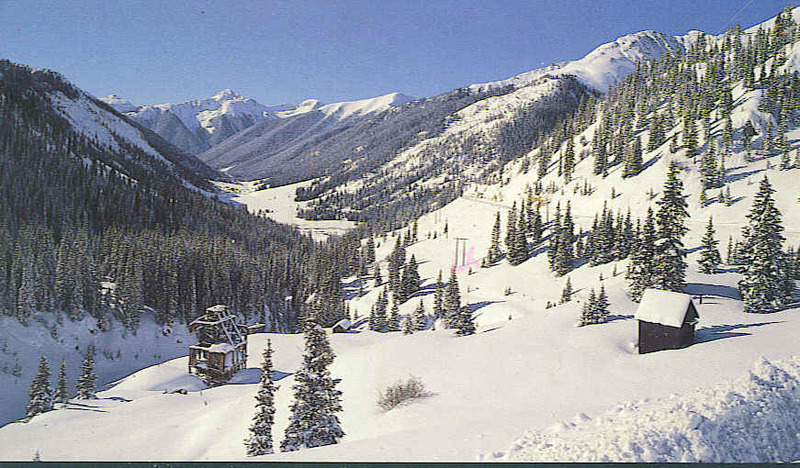 At Vail can be found another paradise for those who enjoy the slopes, and a great museum dedicated to skiers, Colorado Ski Museum and Ski Hall of Fame, where “Skiing is a dance, and the mountain always leads”. These slopes fascinated me! However, if snow is not your passion, come back in the spring for plentiful wildflowers in the alpine meadows. These mountains are beautiful any season of the year. From I-70 in Colorado, take exit #116 south ,Colorado Highway 82. After about 40 miles, take a right on 7th Street in Aspen, then a left on Main Street. You will definitely be able to spot the ski slopes! I’ve been to Colorado many times, but usually in the Breckenridge area. Haven’t made it to Aspen or Vail. 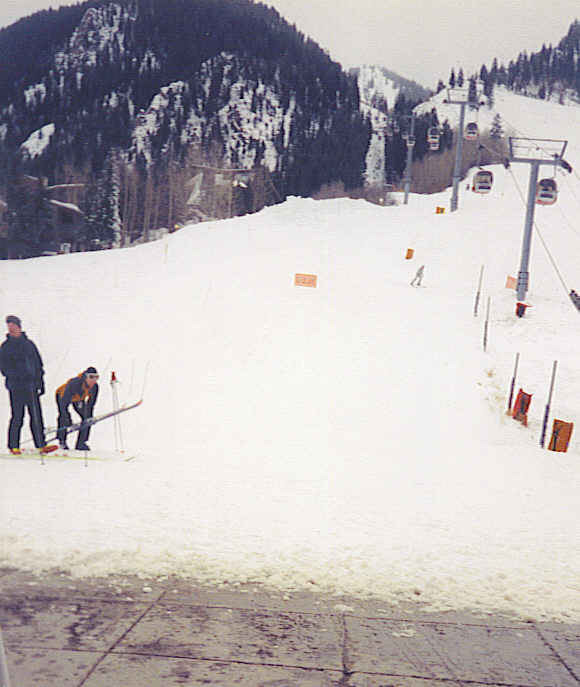 I am not a skier, but enjoy the snow covered Colorado Rocky Mountains. Thanks again for stopping by! Sounds and looks like an adorable place. If you like mountain scenery, this is a perfect spot to enjoy it. Thanks for stopping by again! We were in Aspen during a summer vacation, and loved the music festival, beautiful scenery and grand feeling of so much open space. Aspen is a busy place year around with the beautiful mountains always in the background. Thanks for taking a Gypsy Road Trip.